Young children could access the button batteries. The LED light model is affected. 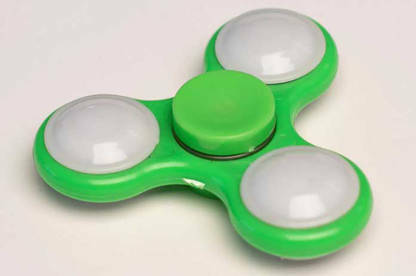 2482 units were sold through Nitrous Spinner Kiosks between May 10th and May 22nd at Westfield Albany, St Lukes and Manakau malls in Auckland; Sylvia Park mall in Auckland and Bayfair mall in Tauranga. Return the product to the Nitrous Spinner Kiosk where purchased for a full refund or exchange for an alternate product. For more information, contact Southern Cross Promotions Ltd on 0800 550 551 or email ledspinnerrecall@gmail.com. Button batteries are coin-sized batteries common in a wide variety of devices including remote controls, singing Christmas cards, bathroom scales and car keys. When these batteries come in contact with bodily fluids an electric current is created. This leads to the production of hydroxide which is caustic and in turn this can result in tissue necrosis, serious throat damage (such as permanent loss of voice) or in extreme cases has proven fatal. Trading Standards (as part of Ministry of Business, Innovation and Employment) is engaged in an international collaboration, with the US, Australia, Japan and Korea, which is looking at possible longer term options to address the risks.